Create a array of all your data. Create a map between task status and css class, this is optional. 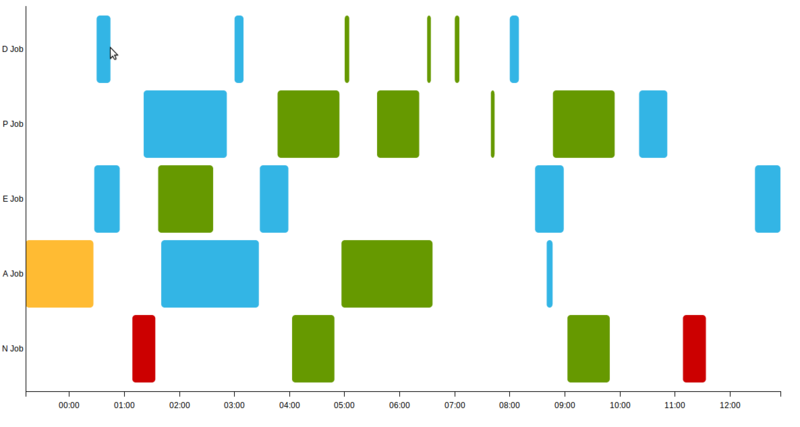 Create a array of task names, they will be display on they y-axis in the order given to the array. Relies on the fantastic D3 visualization library to do lots of the heavy lifting for stacking and rendering to SVG.